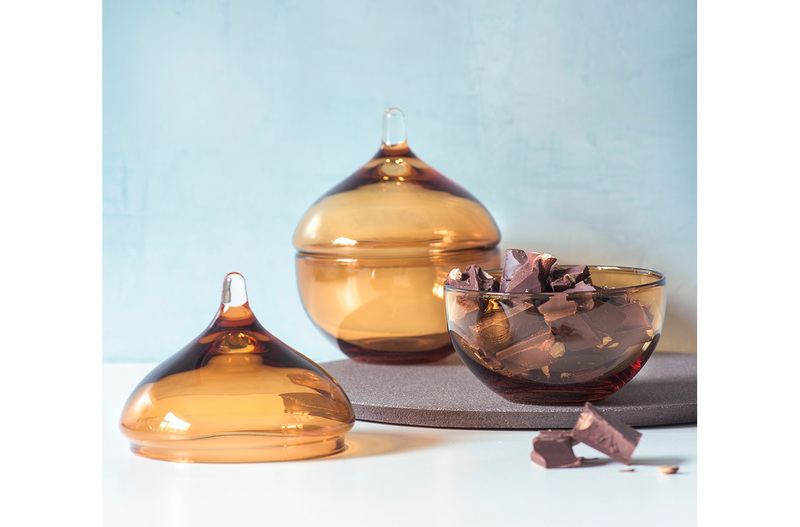 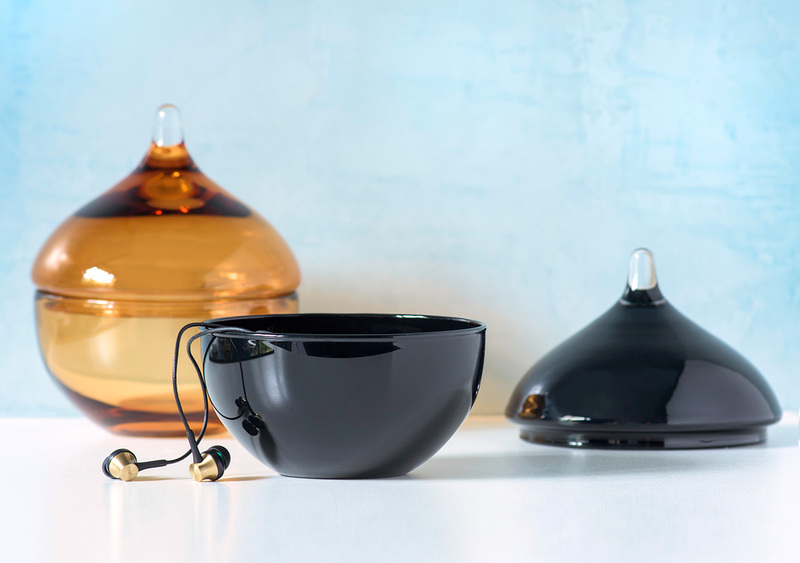 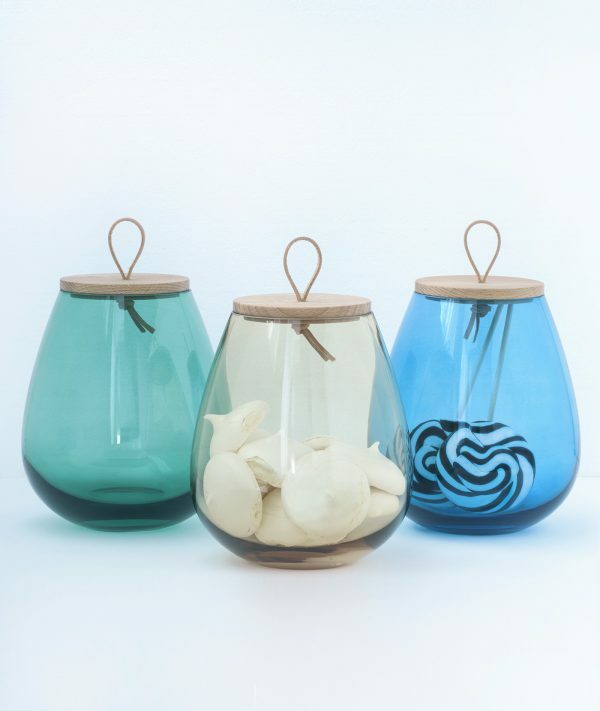 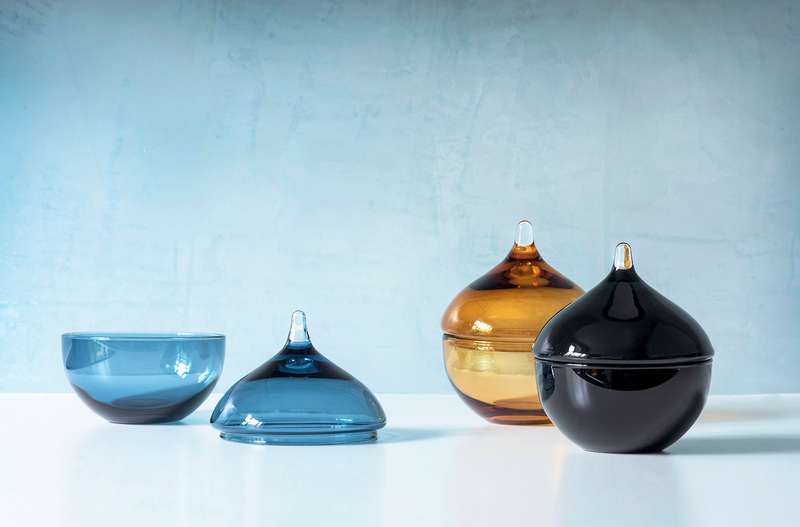 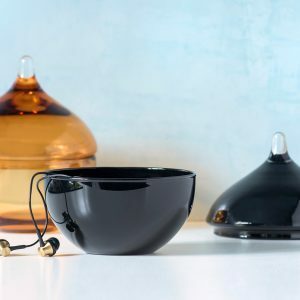 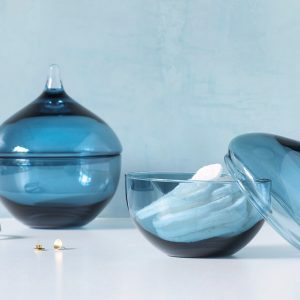 DROPS is a bonbonniere in coloured glass. 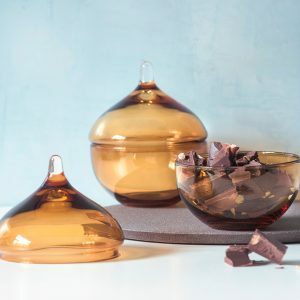 Great for serving and storage of candy, nuts and confectionary, but also for safekeeping around the house – maybe as a jewelry box, or a safe home for keys and coins? 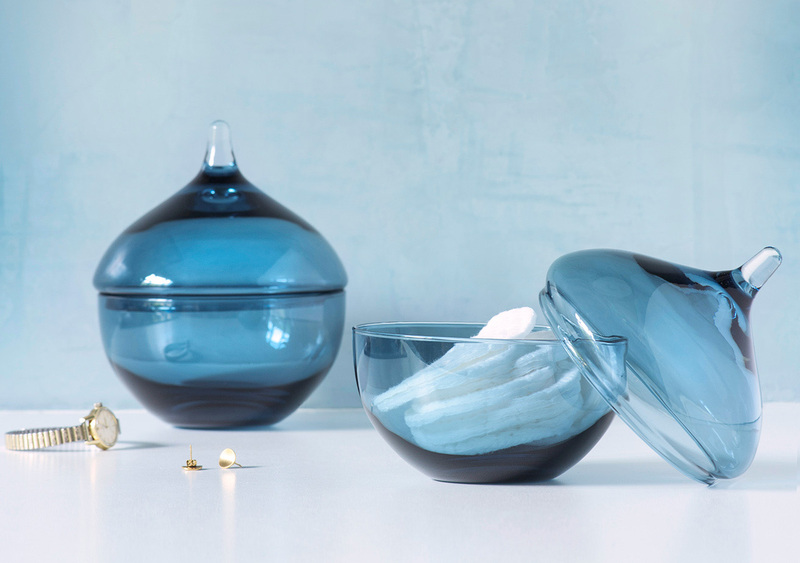 The shape is soft and elegant and thus DROPS is also perfect merely as a decorative still-life object. 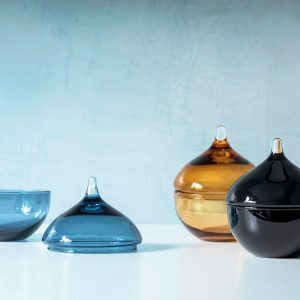 DROPS comes in thee colors; one black opaque for your secrets and the things you would like to hide, and two transparent colors for the things you want to display.